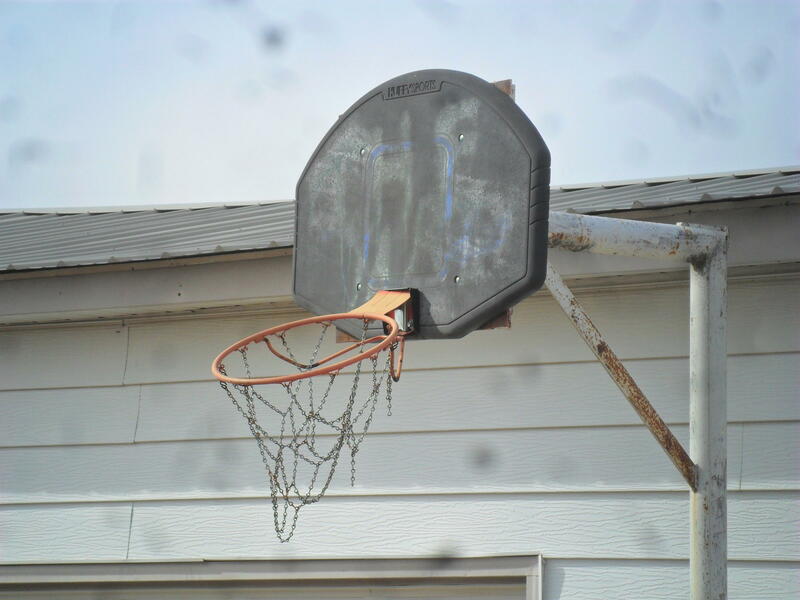 Willie Cauley-Stein played on this basketball hoop in the backyard of his grandparent's house in Spearville, Kansas. Olathe Northwest High School graduate Willie Cauley-Stein is one of five finalists for the Naismith Award recognizing the best college basketball player. But here’s the caveat: He grew up in Kansas, but plays for Kentucky. The prevailing question is: How did the Kansas schools let him get away? When the Kansas Jayhawks and Kentucky Wildcats played for the NCAA championship in 2012, Willie Cauley-Stein, who is now listed at 7-feet tall, was a senior at Olathe Northwest High School. The Jayhawks had 6'10 Thomas Robinson that year before he turned pro. They also had 7-foot Jeff Withey, a junior at the time. When Cauley-Stein decided to sign with Kentucky, he stunned his grandparents, Val and Norma Jean Stein. Norma Jean said she was caught off-guard because Kentucky Coach John Calipari had only seen him play high school football, and Willie didn’t drop a hint of where he was going. “He didn’t tell nobody until the day he made the decision, so we was kind of shocked,” said Norma Jean Stein. Kansas State, when Frank Martin was head coach, was interested in Cauley-Stein. Last year, after Bruce Weber succeeded Martin as the head coach, K-State saw what it missed out on when Kentucky had no trouble winning in the NCAA tournament. By then as a Kentucky sophomore, Willie Cauley-Stein credited the Kentucky coaching staff for making him a better player. “They stress a lot about being mentally strong. A lot of stuff we do is not only to get you physically tired, but make your mind tired and help you push through things,” said Cauley-Stein. Earlier this season, the Kentucky Wildcats beat KU by 32 points, and they’re trying to become the first team since Indiana in 1976 to have an undefeated season. KU’s lopsided loss to Kentucky wasn’t easy to take. Even with KU successfully winning the Big 12 this season, the lack of consistency by the big guys posed problems. One that Willie Cauley-Stein would have helped solve. Cauley-Stein played his high school freshman and sophomore seasons in this old gym in Spearville, Kansas. A town of about 400 outside Dodge City. The gym was packed during those days and KU knew about Cauley-Stein at that time. Jared Stanford, who coached Cauley-Stein during those years, said the first call from a college coach came from one of KU’s best known. Surrounded by wind farms and known as the “Windmill City,” most of the traffic on Highway 50 that hugs the town on the north end just blows by going east or west. 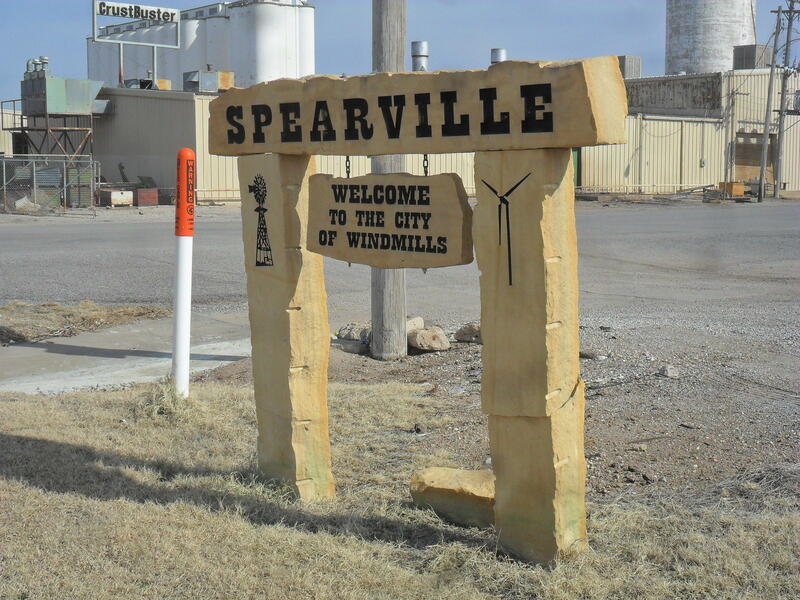 Cauly-Stein's hometown of Spearville is off Highway 50 in western Kansas. In eighth grade, Cauley-Stein stood 6'2. By the end of his sophomore year in high school, he had shot up to around 6'11. Despite more calls from colleges pouring in, Cauley-Stein needed to improve his grades if he wanted to achieve his goal of playing for a major college program. He needed summer school to get his grades up, but Spearville High School principal Patrick Crowdis said that posed a problem. “We don’t offer summer school, so that wouldn’t have been an option,” said Crowdis. Val and Norma Jean Stein, who had raised Willie Cauley-Stein since he was 4, knew that Willie needed to move, so he transferred to Olathe Northwest High School and lived with the family of former Kansas City Chiefs great Will Shields. Cauley-Stein played summer AAU basketball with Will Shields’ son, Shavon, who had become a close friend. Norma Jean Stein said the decision to let Willie go was difficult. “Yeah, it was hard, very hard, and I know a lot of people there in Spearville hated to see him go, too, but we had to make it where it was beneficial for him,” said Stein. Norma Jean Stein said KU and K-State were still in the picture when Willie moved to Olathe. Then she said the Jayhawks backed off. Now among the remaining teams in the NCAA’s Sweet 16, two of the best players in the tournament have roots in western Kansas. From Scott City, Ron Baker blossomed at Wichita State. But from Spearville to Olathe, Willie Cauley-Stein left Kansas, leaving Kansas coaches wondering where they’d be if he stayed closer to home. There are two opponents the Kansas Jayhawks avoid if they had their say: the Missouri Tigers in any sport and Wichita State in men’s basketball. 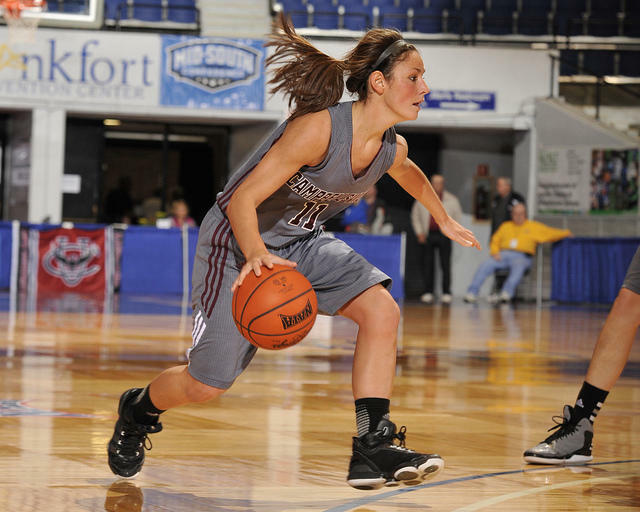 But an unavoidable clash might occur in the NCAA basketball tournament. It might be entitled “The Omaha brouhaha” if KU and Wichita State win their first games in the NCAA basketball tournament. That might mean something to Wichita native Perry Ellis, who Jayhawks coach Bill Self says was glad to see playing in the Big 12 tournament. If you find yourself stuck in downtown traffic this weekend, then you’ll know that college basketball has once again taken over our town. In this March edition of 'A Fan’s Notes,' commentator Victor Wishna gets to the heart of the madness, with a look at the one tournament that started it all.